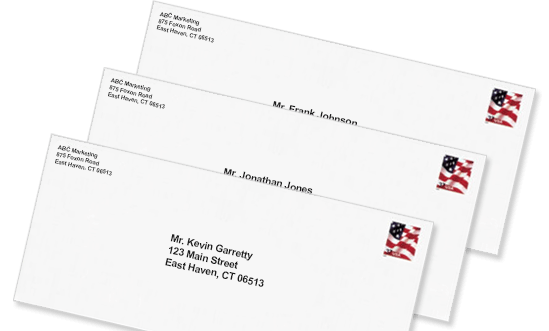 Our envelope addressing systems directly print onto your products giving them a personalized look. Our process allows us to directly print your address onto an envelope or self mailer while also printing the post net or IM postal barcode to save you money. So you will end up with a professional product that will save you money at the post office.